720-950nm Infrared photography and draftsman's ink combined digitally. This picture is a composite of 48 infrared spectrum wildlife pictures and draftsman's ink on blotting paper, also photographed in infrared. The composition is arranged to be reminiscent of a psychometric inkblot, or Rorschach test. The ink is filled with morbid, skeletal elements from the bone records found in the Natural History Museum, symbolising the mortality of birds affected by wetlands water pollution. The living birds are arranged outside the contaminant and are fleeing the dark death it contains. All the birds are domestic to the UK and photographed at RSBP and Wildfowl & Wetlands Trust reserves. I chose to work in the invisible spectrum as a matter of curiosity first and foremost, but it also proved very rewarding since for many people water pollution is an invisible issue. Taking invisible pictures of birds which may not be here in twenty years seemed a fresh way to approach the subject. 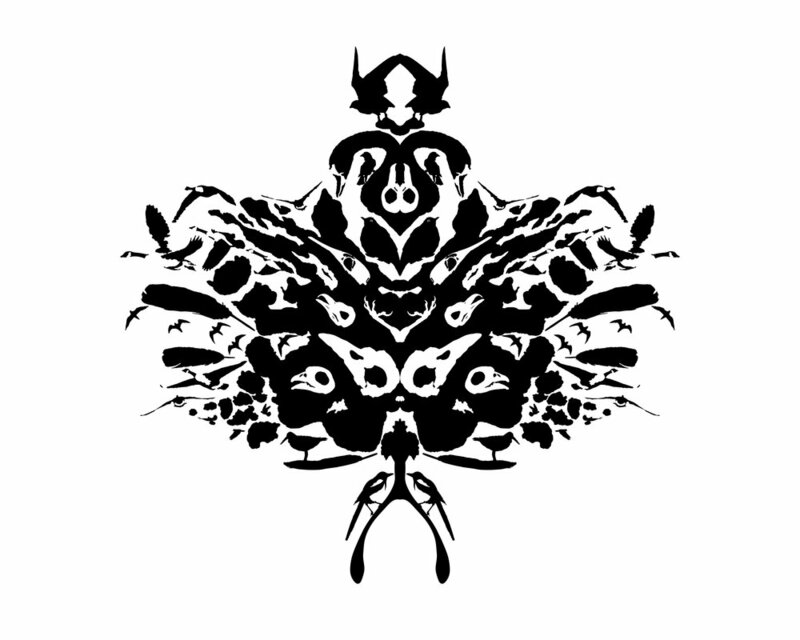 The psychometric inkblot composition serves as a visual device to show how different people see different things when it comes to matters of conservation and habitat protection. Reclaimed beach plastic bottles, filled with seawater and photographed under studio lights. Again, focusing on invisible issues: this project involved many hours working with charities, volunteering and documenting their efforts around the south of England. The most undamaged and vibrant plastic bottles I then claimed to take home and work with. The arrangement of an Ishihara plate is a standard colourblindness test, aimed at linking the issue of plastic pollution with most people's blindess to it. For ethical reasons, I shifted the colour gamete by 12 % from that of a standard colour blindness test, so that even those with the condition can view and interpret my work. The final format was a 50 inch squared lightbox that made the piece really come alive; almost looking organic on the wall. The title of the piece draws the viewer's attention to the lasting nature of plastics in our waterways, but also to the famous slogan of Coca Cola - the shape of the bottle reinforces the meaning.